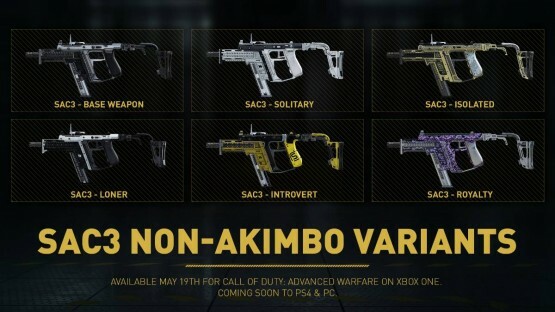 Already available on Xbox One and “coming soon” to PlayStation 4 and PC, Sledgehammer Games and Activision released a new trailer this week, detailing some of the new multiplayer weapon variants for Call of Duty: Advanced Warfare. Upgrade your loadout with all-new multiplayer content, including new weapons and character gear. Xbox users can jump into the fray today and take the all-new M1 Irons Base Pistol for a spin. And with new weapon variants and character customization gear added to Call of Duty: Advanced Warfare Supply Drops and Advanced Supply Drops, there are even more ways to play your way. 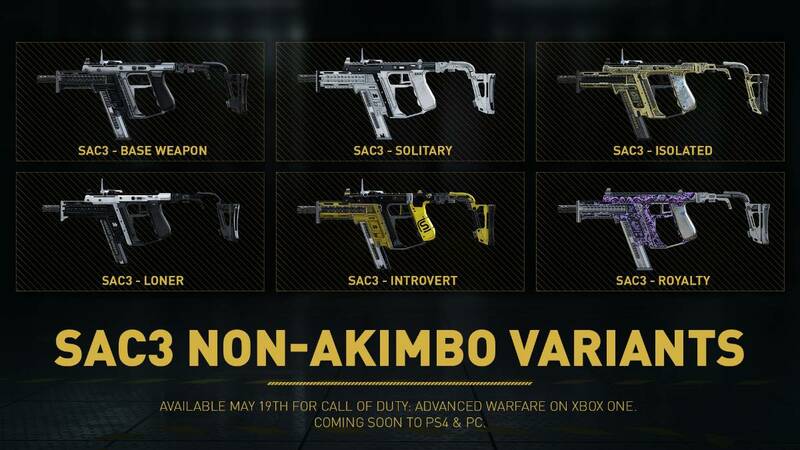 SAC3 – Each of these weapon variants feature a single SAC3 submachine gun for precision ADS targeting. Royalty Elite Variants – Dressed in the same purple and gun-metal camouflage as the Grand Master Prestige armor, these weapons feature similar stats to the Elite versions of weapons you already love.